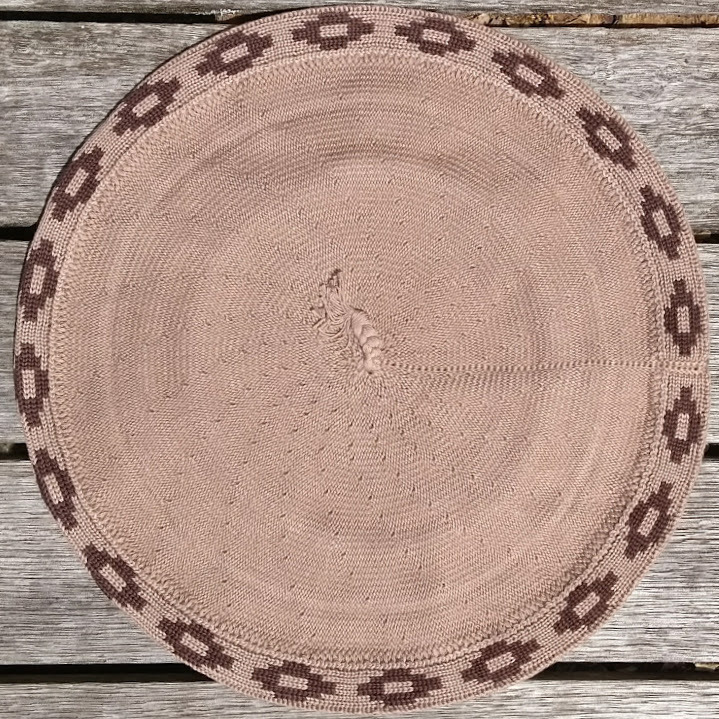 The Guarda Pampa (People of the Earth) was originally created by the aboriginal people of Argentinian and Chilean Patagonia. 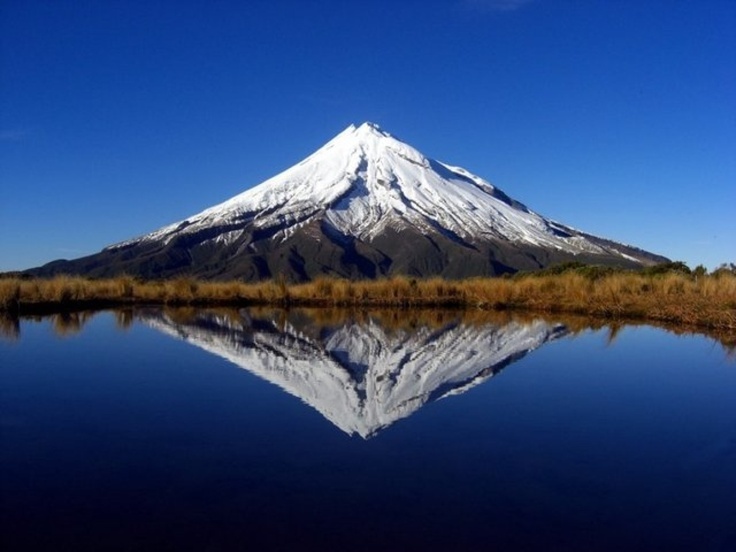 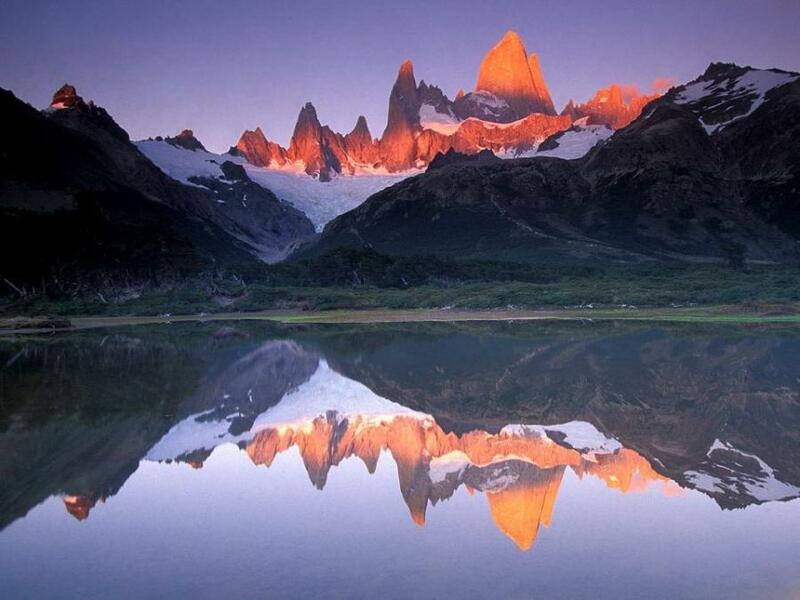 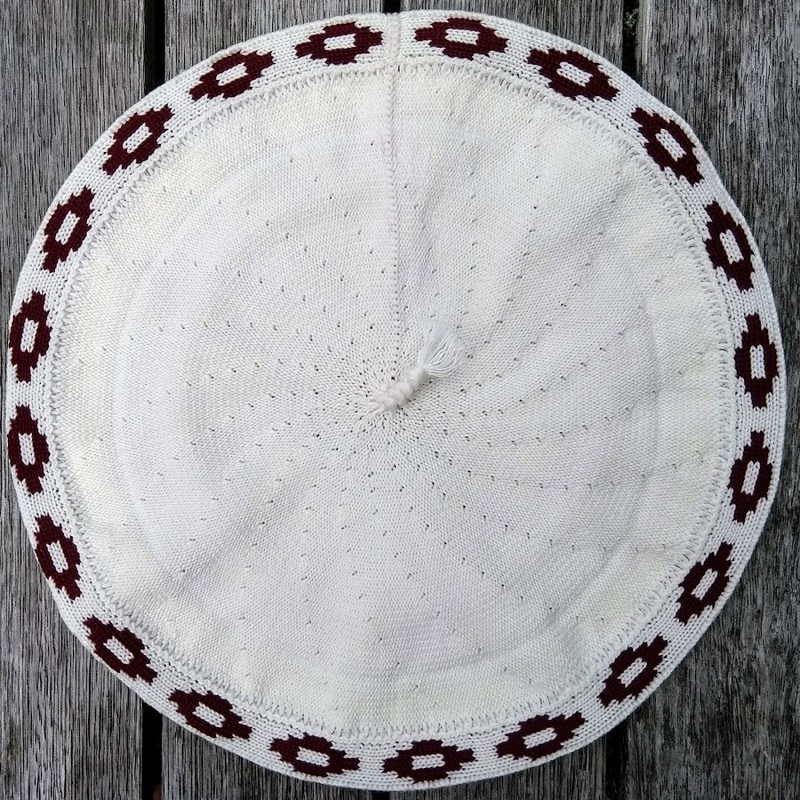 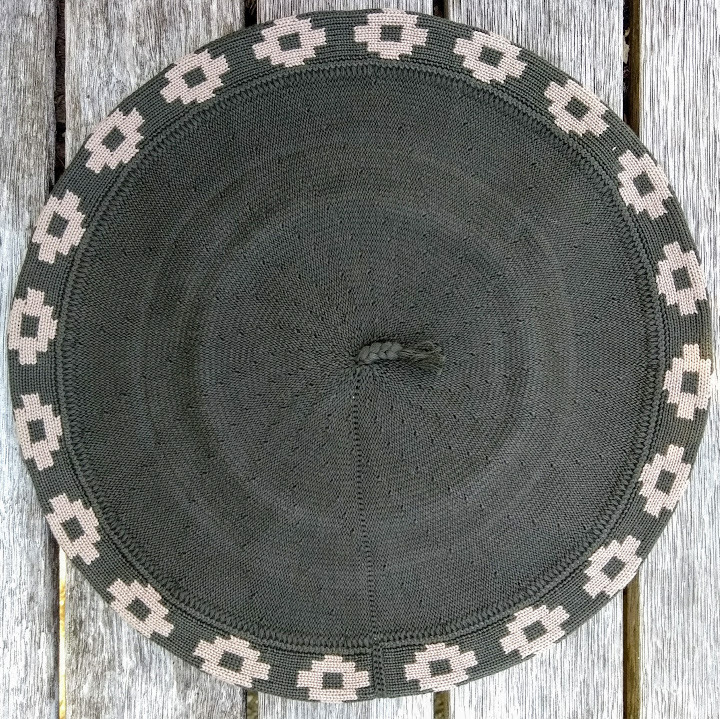 This symmetric design symbolizes the reflection of the Andes Mountains in the lakes of the region. 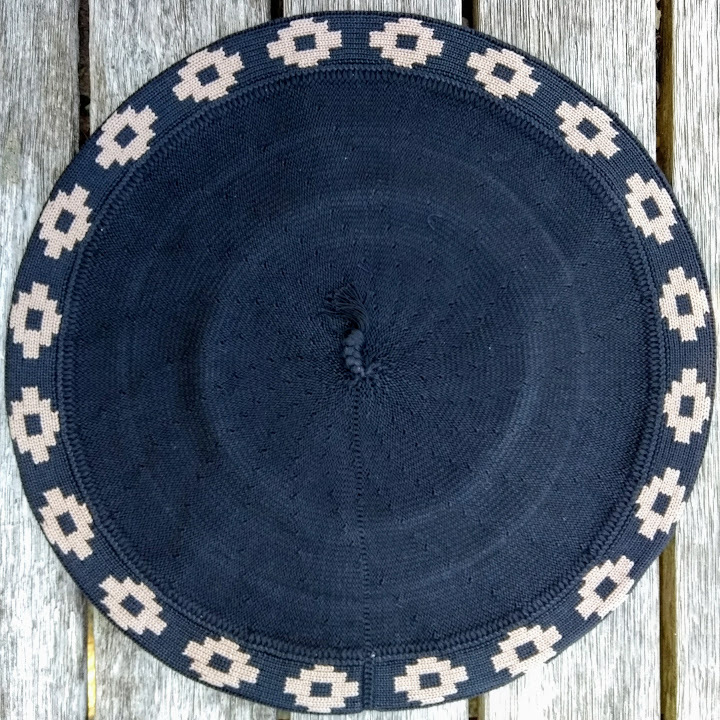 The Guarda Pampa, adopted and made iconic by the Argentine gauchos, has become a design that is woven into the fabric of Argentine and Chilean culture – from the flat pampas regions to the urban cities to the Andes Mountains. 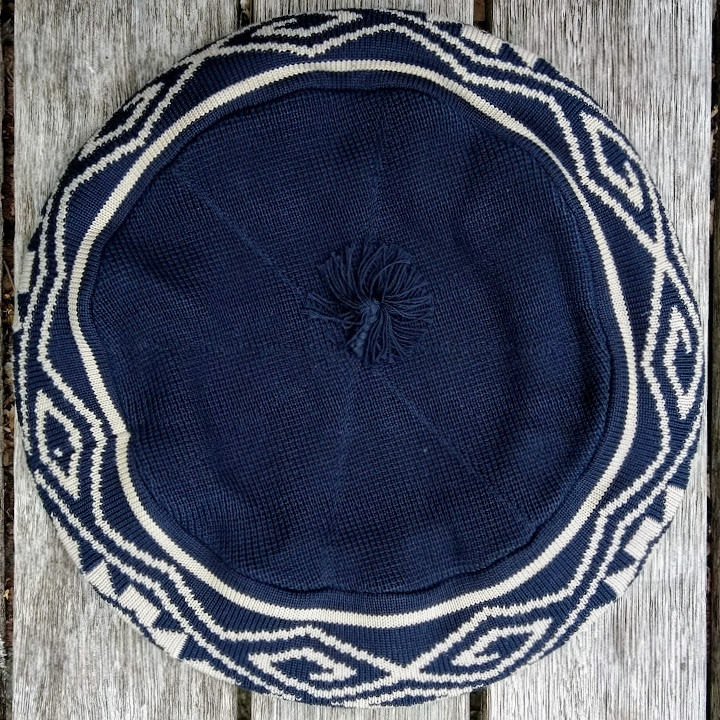 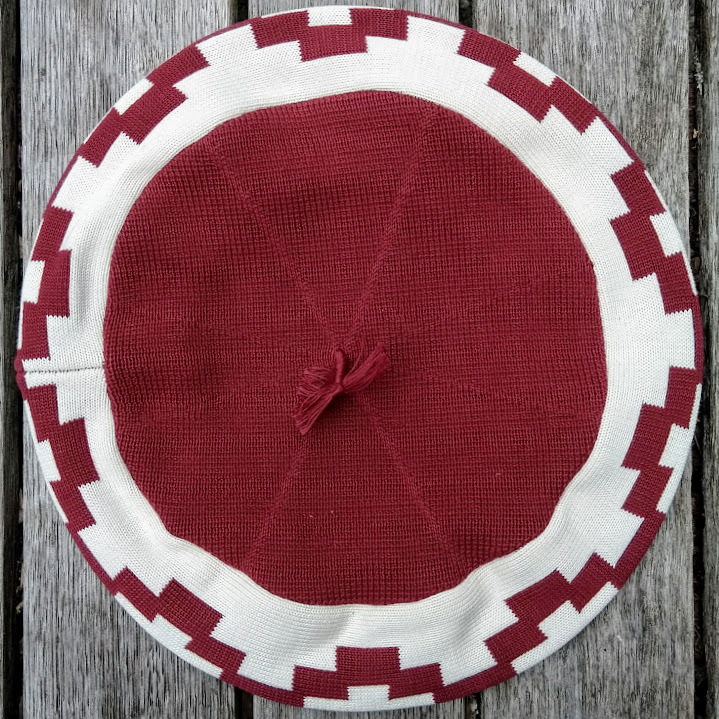 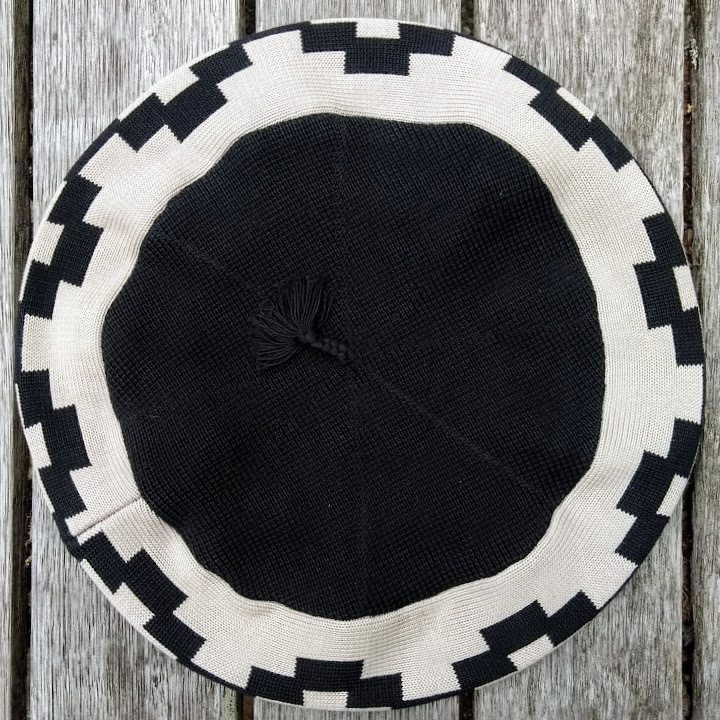 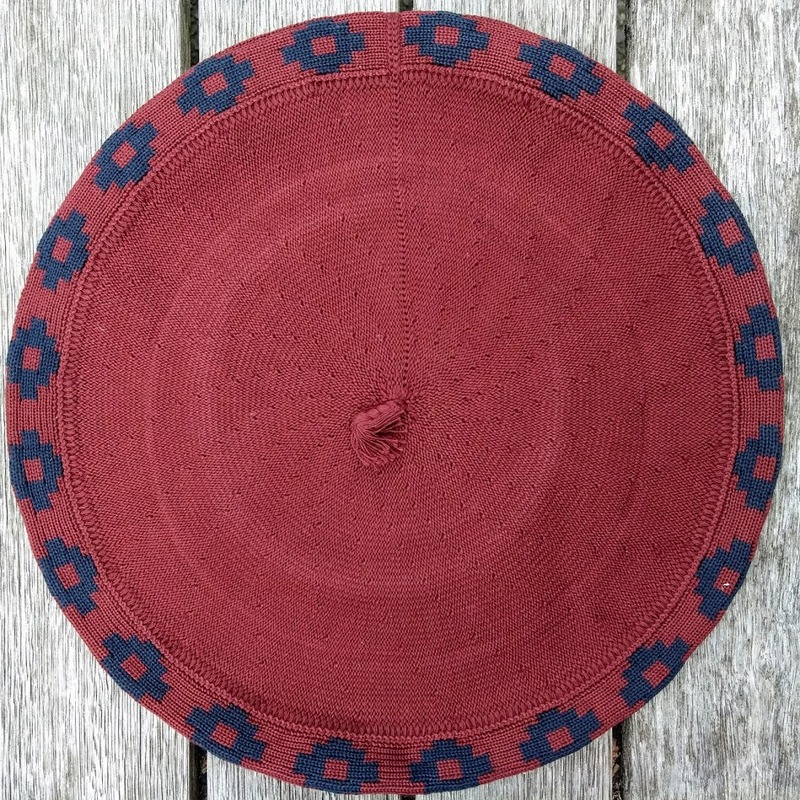 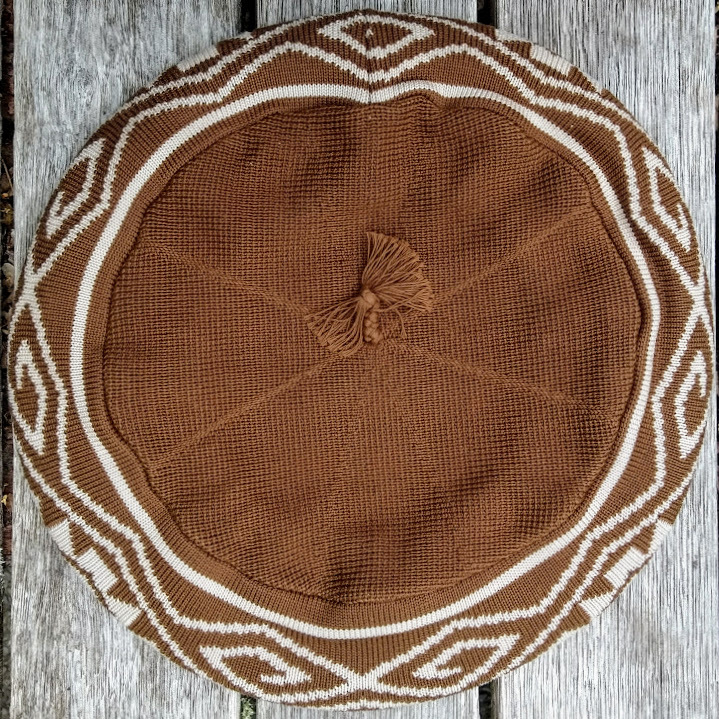 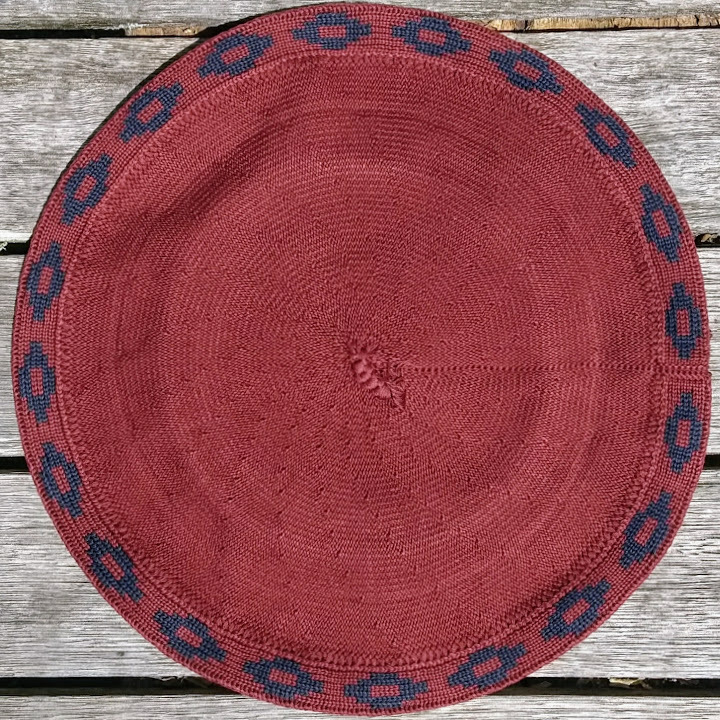 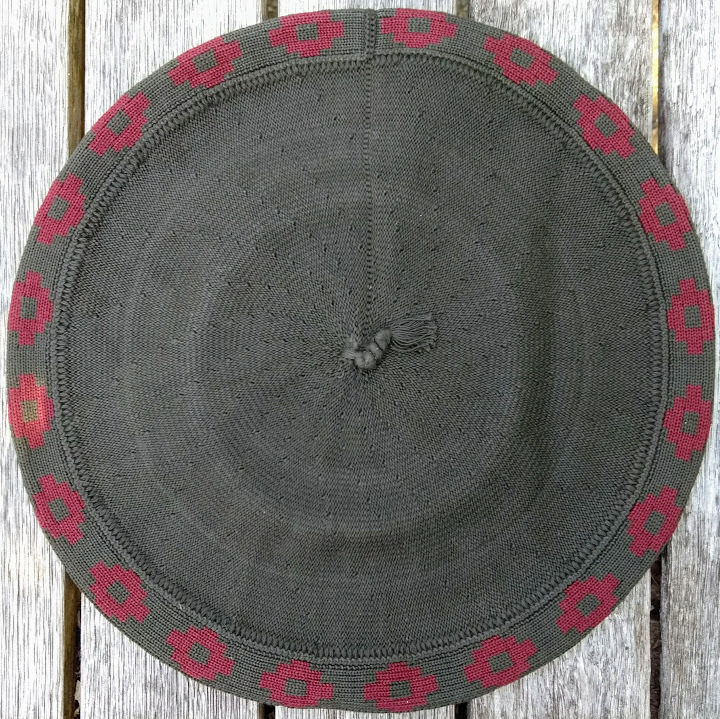 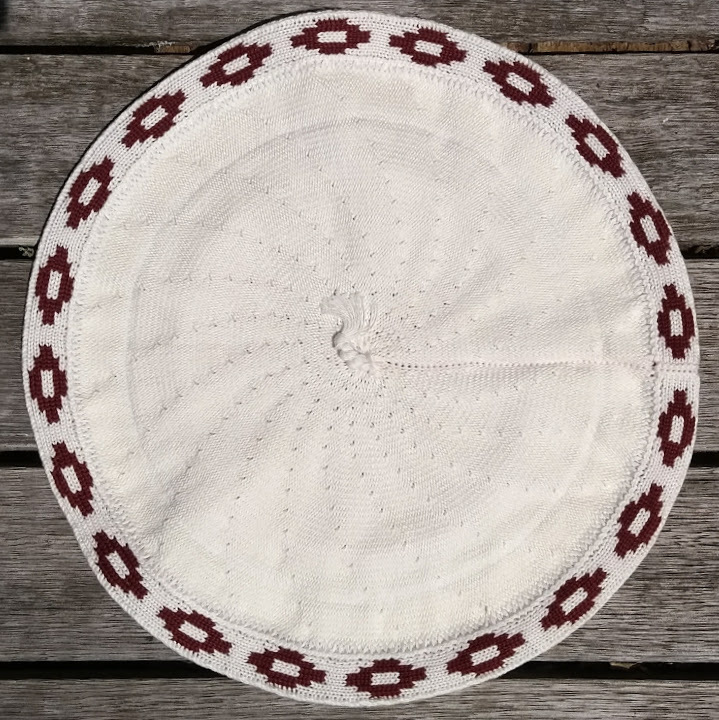 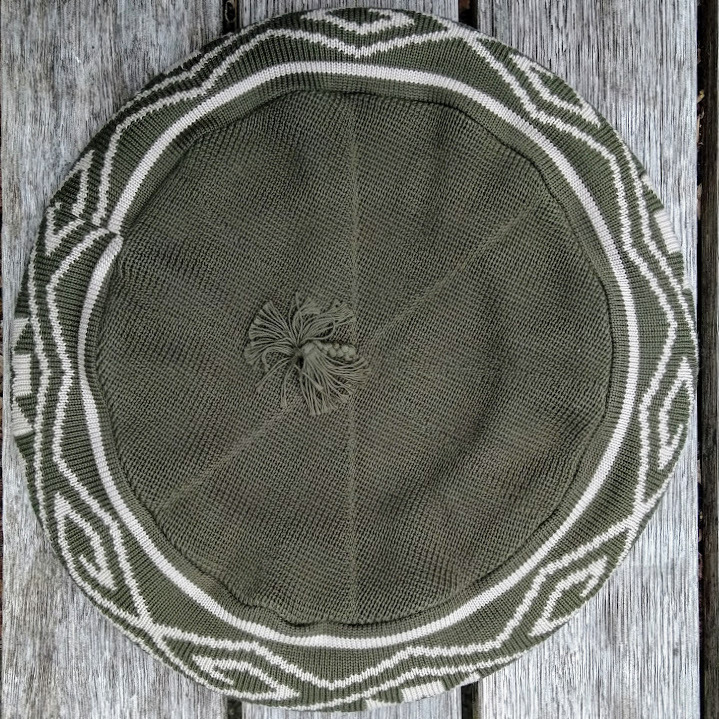 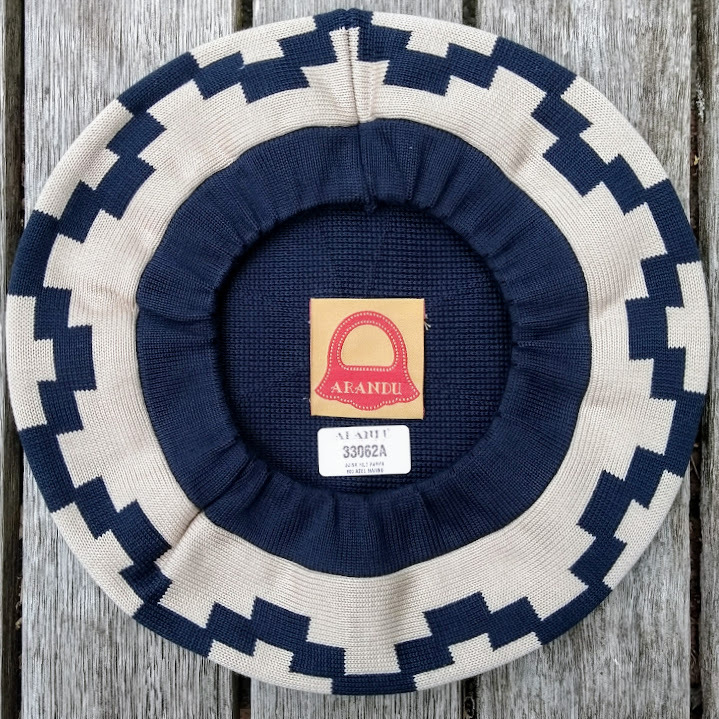 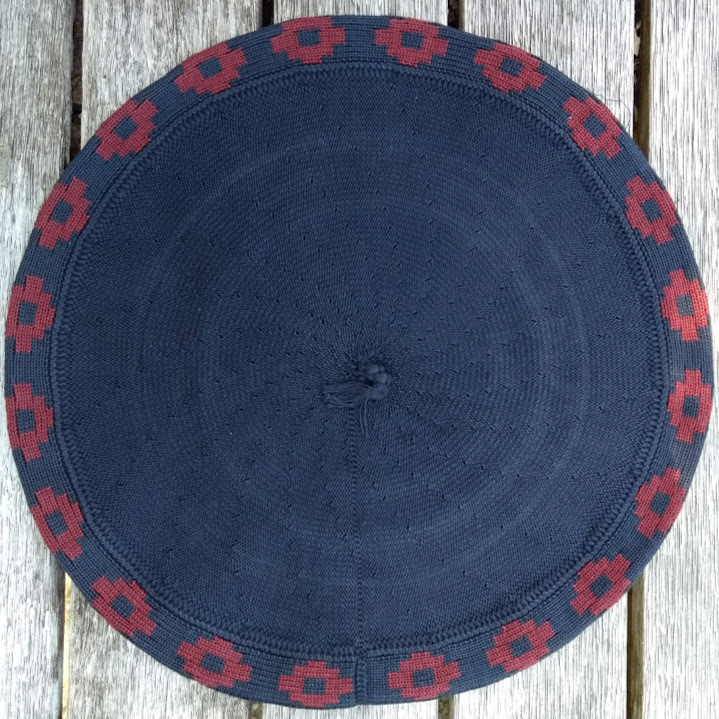 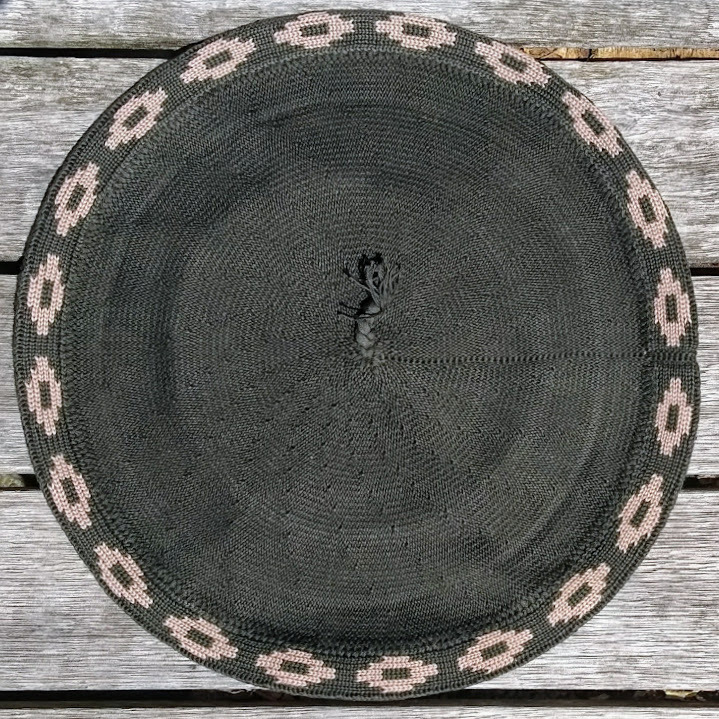 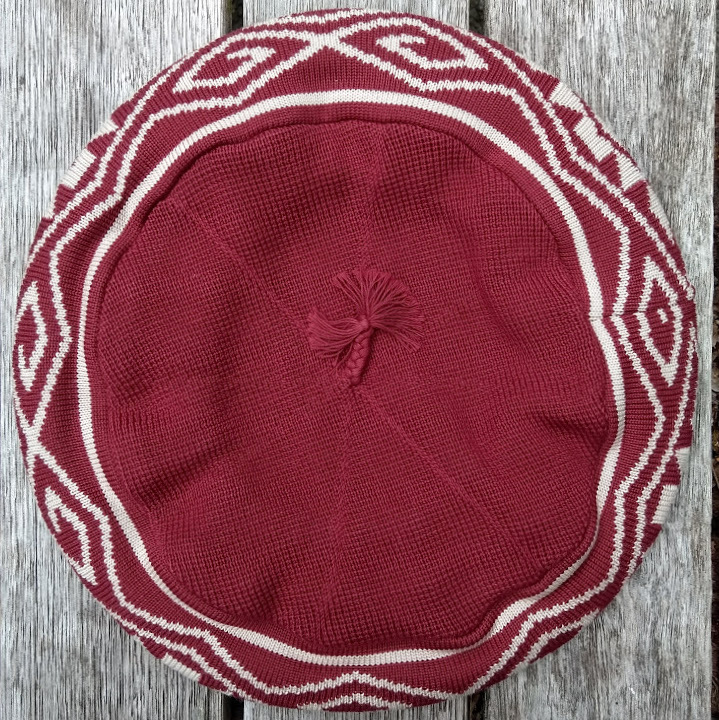 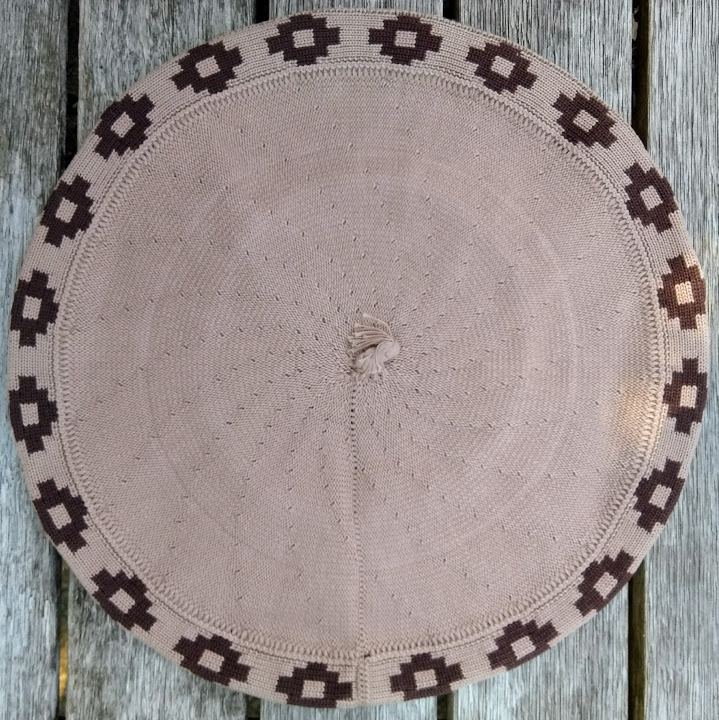 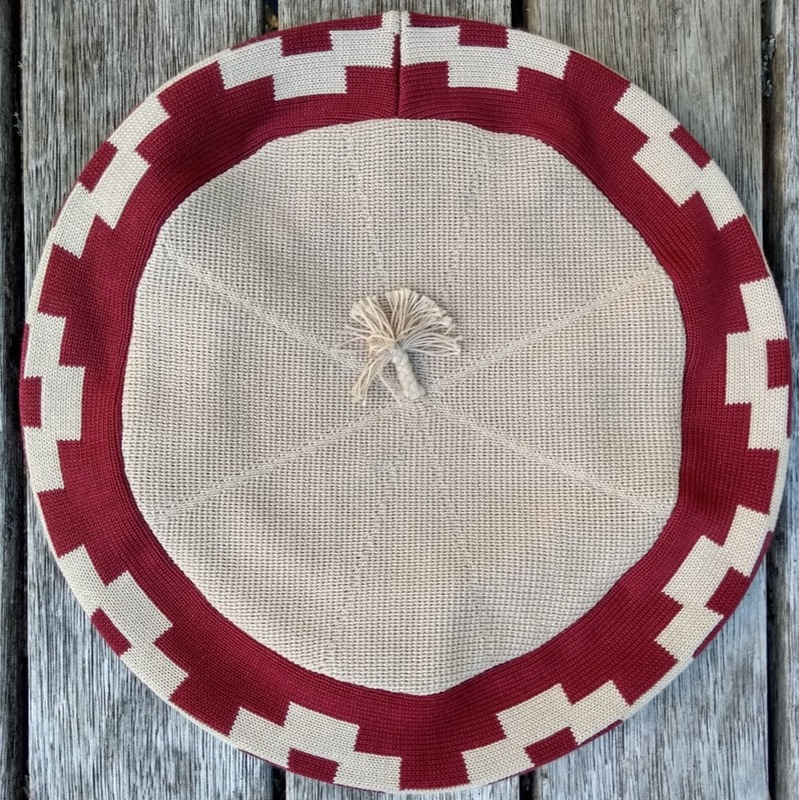 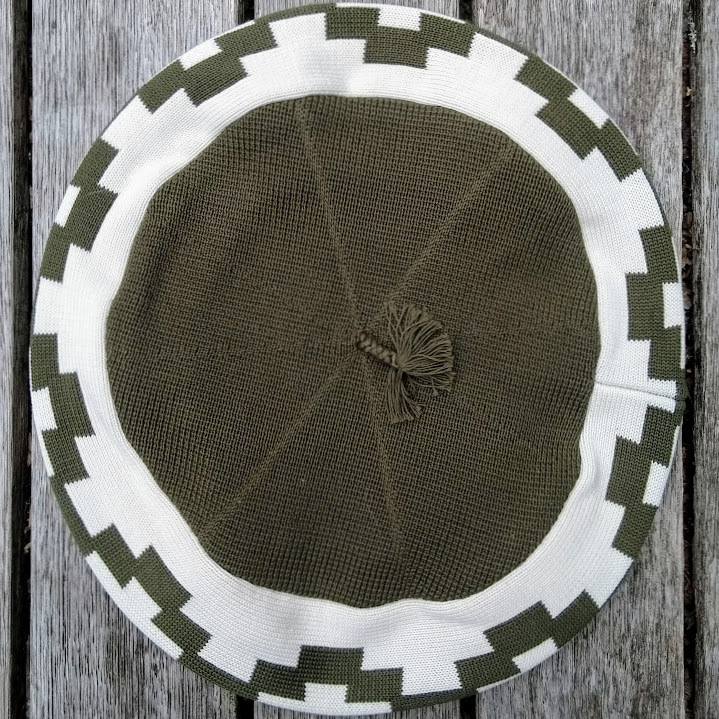 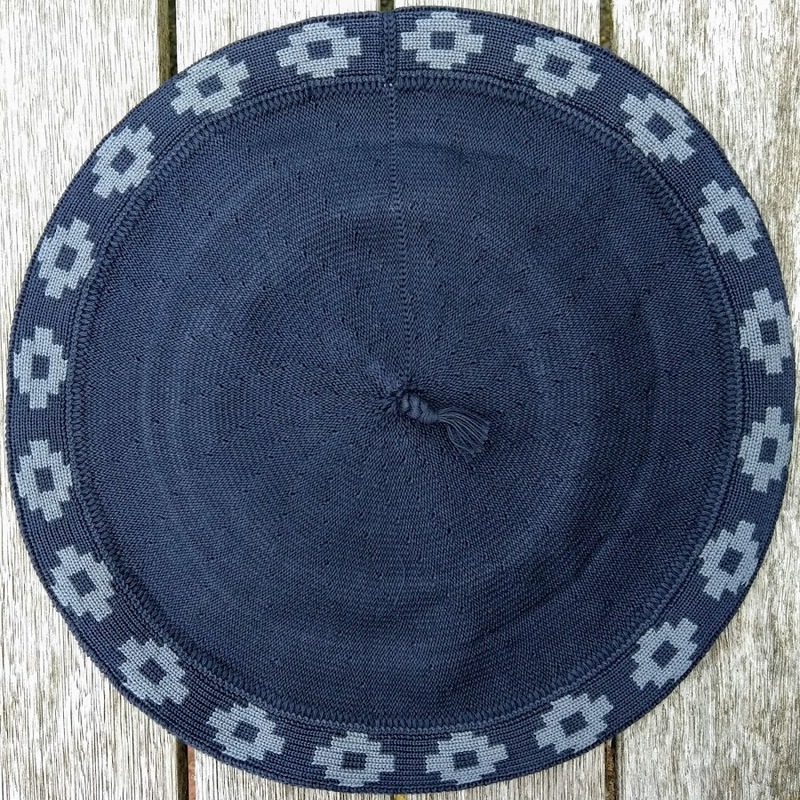 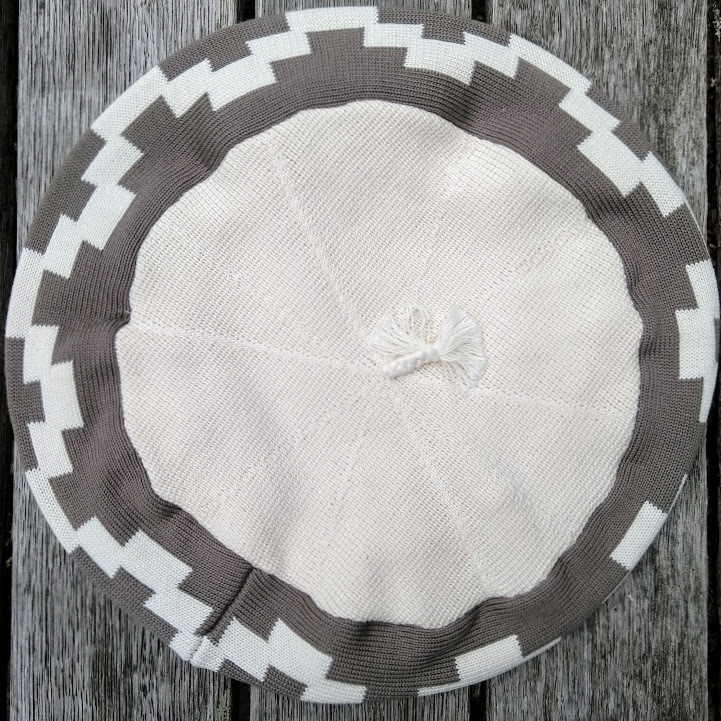 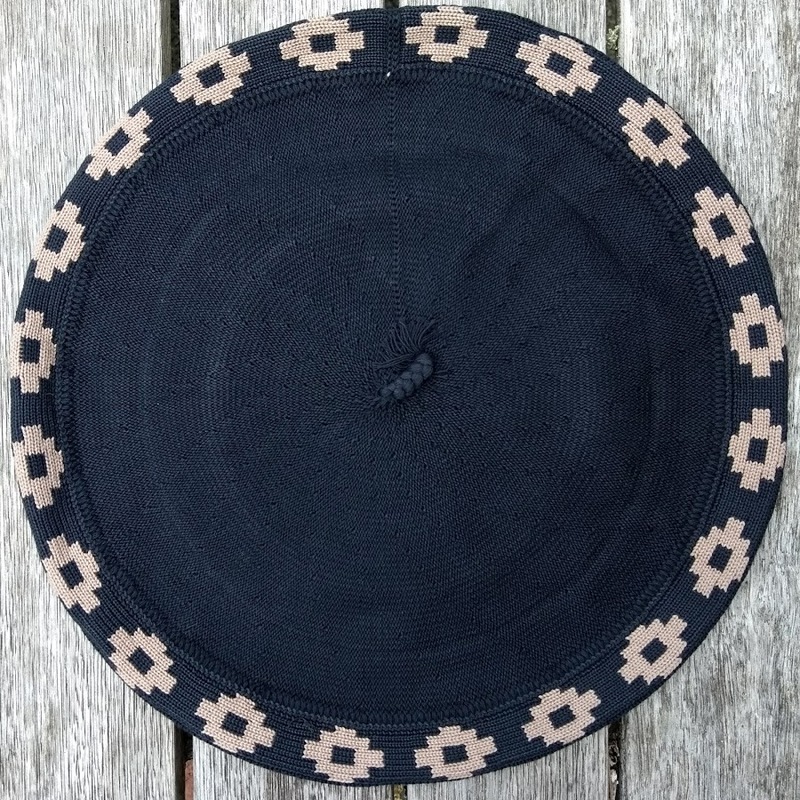 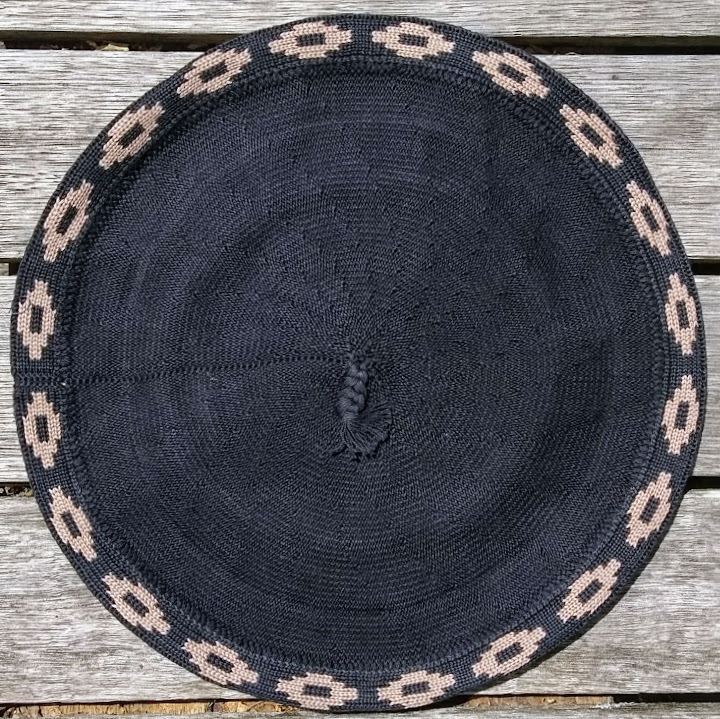 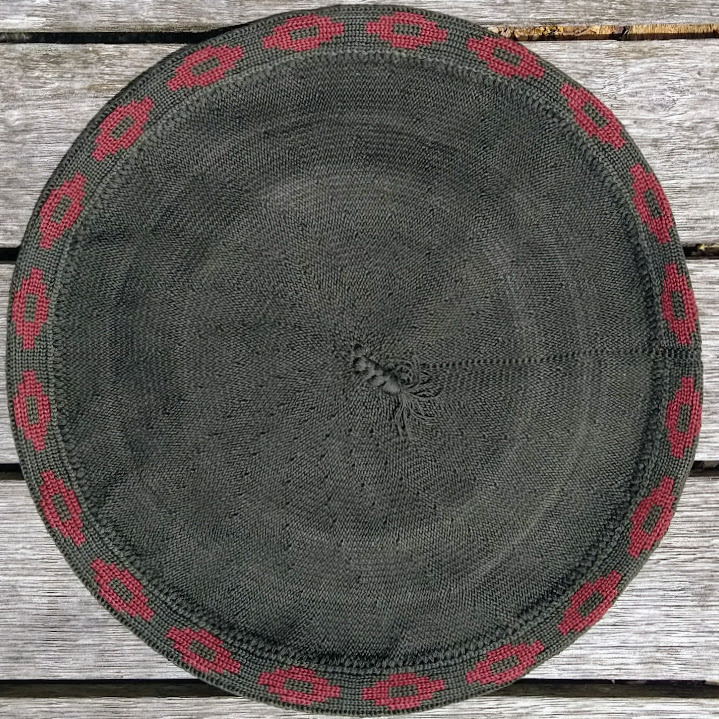 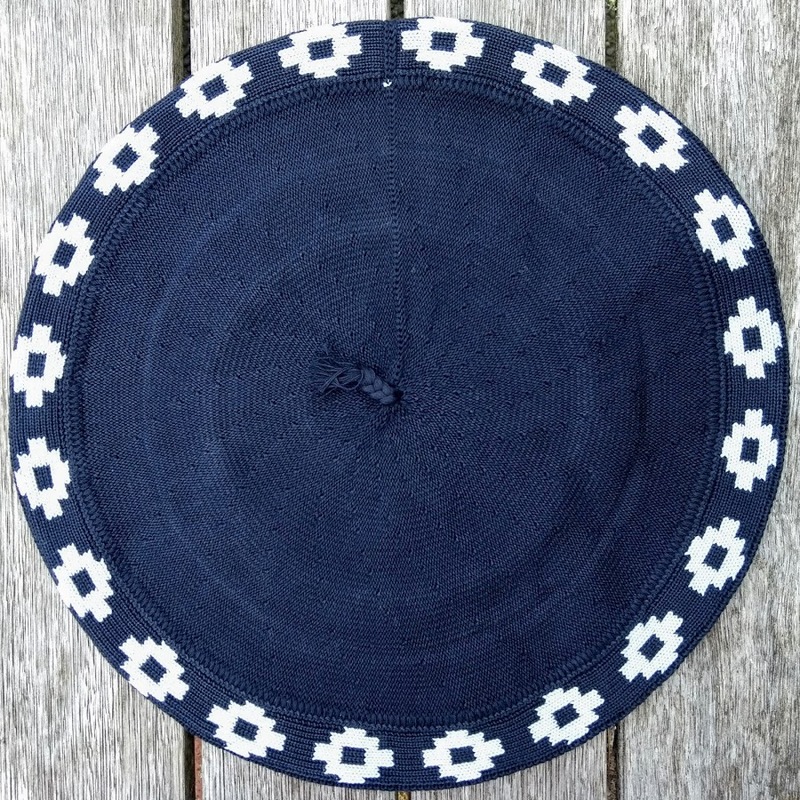 The classic cotton boina Tolosa comes in many colour options with the guarda pampa design; the boinas Arandú are available in both the guarda pampa and a traditional Mapuche Aboriginal design.